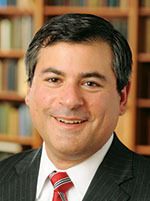 Jason Bordoff a former energy adviser to U.S. President Barack Obama, is Professor of Professional Practice in International and Public Affairs and Founding Director of the Center on Global Energy Policy at Columbia University. The author wishes to credit Akos Losz for his extraordinary research efforts and assistance. You may follow him on Twitter @JasonBordoff. What problem are we trying to solve? This is perhaps the most important question to ask whenever government officials design “policy”—laws and regulations that mandate, prohibit, subsidize, or in other ways intervene in the market to achieve certain socially desired outcomes or to correct market failures, such as, for instance, internalizing the costs of pollution. When it comes to energy policy, identifying the problem, and thus the objective, does not happen often enough. Are we mandating biofuels to reduce oil imports, support farmers, or lower greenhouse gases? Corn ethanol may achieve some of these goals, but not others. Of course, there are often multiple policy objectives, but achieving them cost-effectively requires being clear on what they are—and being equally clear on the potential tradeoffs between them. Too often, the political necessity to build stakeholder support among multiple constituencies means that policies are sold as killing many birds with one stone. Poor policy design usually yields poor results. The stakes are high: energy is the lifeblood of the global economy, yet its production and use can also have negative impacts. Changes in price can tip economies into recession or bolster economic growth. Revenue windfalls can enrich nations or be a curse that feeds corruption and weakens economies. Energy is a source of geopolitical influence, but also vulnerability. It can motivate conflict or cooperation. Energy keeps food and medicine refrigerated; illuminates the night for study, safety, and work; enables global transportation and communications. Yet it can also despoil the air we breathe and the water we drink, as well as harm our lands and oceans. „Energy policy” is aimed at these shared objectives: economic growth, national security, and environmental protection. Sometimes these goals overlap, but often they are in conflict. Substituting domestic coal for imported oil may bolster our security, but lead to greater environmental damage, for example. Requiring scrubbers on those coal plants may then clean up the air, but lead to higher electricity prices that have adverse impacts on the economy. Do we want gasoline prices to be as cheap as possible, which benefits consumers and also encourages greater consumption, or do we want higher prices, to encourage conservation and internalize social costs? Does it matter whether those higher prices are achieved through Pigouvian taxes, regulation, or policies that restrict supply and infrastructure? To frame an energy policy is to allocate large benefits and large costs and to distribute or redistribute income. The coexistence of both producers and consumers in very considerable abundance in the United States makes a definition of national interest quite difficult. The 1977 Act that created the Department of Energy required it “to provide for a mechanism through which a coordinated national energy policy can be formulated and implemented,” and to present to the U.S. Congress a “National Energy Policy Plan” every two years. While many criticize the failure to implement this language, others like Oxford’s Dieter Helm argue that a predictive national energy policy that plans energy needs and fuel mix based on assumptions about the future should be eschewed in favor of a set of targeted policies aimed at correcting specific market failures. For 40 years, one objective has predominated the design and rhetoric of American energy policy: energy independence. This is not surprising: the shock that the 1973 Arab Oil Embargo delivered to the American economy was profound, and brought realizations about U.S. oil import dependence that sparked every American president to pursue—or to at least pay lip service to—freeing the United States from what was perceived as an economic and security risk. Energy independence has thus been at the core of the development of America’s modern energy policy, and still wields considerable influence in the political sphere. Four decades later, however, the world is drastically altered. American energy policy needs to recognize this and adapt accordingly. It is not novel to dismiss the concept of energy independence for the simple reason that the oil market is global: consumers will see prices go up at the pump regardless of whether we import oil. But the damage wrought by clinging to the chimera of energy independence is far broader, for the changes in the global energy system over the past four decades mean that America’s energy security now comes from being more interconnected, not “independent.” The impulse for “independence” that has guided American energy policy for decades has undermined our security by leading to isolationism. Today’s world is more integrated. The global threat of climate change, the emergence of global commodity markets, the reemergence of the United States as an energy superpower and new producer-consumer dialogue, the expanded role of energy in American foreign policy, the increasingly connected nature of new energy technologies—all these shifts mean that contemporary energy policy should not seek isolation or independence, but instead more interdependence, interconnectedness, optionality, and competition. As I argue in this essay, such a way of thinking about energy offers the best path to developing policies that achieve economic, security, and environmental goals. Throughout the first three-quarters of the twentieth century, energy supplies were abundant and energy policy was of little concern—with notable exceptions like military conflict or rural electrification. Over time, boosting domestic production while maintaining low prices emerged as the two predominant, if contradictory, policy objectives. The most prominent examples were U. S. President Dwight D. Eisenhower’s decision to impose import quotas, the Texas Railroad Commission’s production quotas, and U.S. President Richard M. Nixon’s misguided wage and oil price controls. The price of natural gas, too, had long been regulated. Artificially low gas prices that were impervious to market forces led to physical shortages, and the pricing of natural gas eventually developed into an immensely complex system involving more than 20 different price categories for the same commodity, as the Carter Administration implemented a phased price deregulation under the Natural Gas Policy Act of 1978. Generally speaking, however, there was complacency regarding energy policy. Prior to the energy crisis of the early 1970s, “most people acted as if ever increasing amounts of energy at ever lower prices would always be available,” noted Allen Hammond, William Metz, and Thomas Maugh in Energy and the Future (1973). A review of energy policy development in the period immediately following the oil crisis, reveals how significantly the energy landscape has changed. It also points to how policy moving forward needs to evolve as well. To draw a stark contrast (and given space constraints), the present essay excludes the intervening years, although a more detailed exploration of the 1980s, 1990s, and 2000s would reveal even further how today’s new energy outlook requires a reconceptualization of the purpose of energy policy. within relevant official and public opinions inside the United States, there is an appreciation of the unhealthy trend in U.S. imports, and, though somewhat more tentatively, agreement that the purpose of U.S. energy policy should be to manage a transition away from imported oil. In 1973, weeks after the embargo—and in response to the crisis—President Nixon launched Project Independence, to rid the United States of oil imports by 1980. For Nixon, the effort to achieve this ambitious goal largely focused on boosting conventional domestic oil and gas production, along with some conservation and technology-related R&D. The most important initiative to boost domestic hydrocarbon production was the fast-track approval of the Trans-Alaska pipeline in November 1973, which enabled the development of the vast Prudhoe Bay oil field in Northern Alaska later that decade. As Daniel Yergin notes in The Prize: The Epic Quest for Oil, Money and Power (1992), “TAPS—the Trans-Alaska Pipeline—made possible what proved to be the single most important new contribution to American energy supply since Dad Joiner’s discovery of the East Texas oil field in the 1930s.” The 800-mile pipeline connecting the North Slope of Alaska with the southern Alaskan port of Valdez was completed by 1977. Oil production in Alaska ramped up quickly thereafter, surpassing one million barrels per day in 1978, and reaching a peak of two million barrels per day by 1988. But beyond the Trans-Alaska Pipeline Authorization Act of 1973, there was little legislative substance to Nixon’s energy independence rhetoric before he resigned in August 1974. Nixon’s successor as president, Gerald R. Ford, set out his energy policy in his 1975 State of the Union Address. He focused on four goals, each aimed at the ever-elusive holy grail of energy independence: first, raising energy prices through price decontrol and taxes; second, encouraging more coal by relaxing environmental standards; third, establishing an emergency oil reserve; and fourth, creating energy efficiency standards. In 1975, after much debate in the U.S. Congress, Ford signed the Energy Policy and Conservation Act, establishing incentives and mandates for energy efficiency in buildings, appliances, and automobiles. This included the 55-miles-per-hour speed limit and fuel-economy rules. It also created a Strategic Petroleum Reserve to insulate the United States from future oil supply disruptions. Energy policy took on renewed urgency under U.S. President Jimmy Carter, who created the Department of Energy and declared America’s deepening energy crisis the “moral equivalent of war.” He made energy policy, in all of its varieties, a centerpiece of his administration. He too prioritized the reduction of oil imports, but placed less emphasis on high-production strategies and more on substitutes, notably domestic coal and synthetic fuels. Carter’s National Energy Plan in 1977 identified seven quantitative goals primarily aimed at reducing energy demand growth, gasoline consumption, and oil imports, while simultaneously increasing domestic energy production and efficiency. Carter persuaded Congress to support solar R&D and provide tax credits for solar and wind farm projects. The 1978 Public Utility Regulatory Policy Act (PURPA) required utilities to purchase power from small generators at an “avoided cost” price that was highly favorable to renewable energy producers. Still, Carter’s 1978 energy legislation reflected where his administration saw the real potential to reduce oil import dependence: it requested $19 billion for synthetic fuels, but only $1 billion for solar energy. A May 1980 confidential memo from Energy Secretary Charles Duncan called for reductions in proposed federal spending on solar programs and an increase in funding for nuclear and fossil energy. The overriding concern with oil imports was also evident in federal energy R&D spending at the time: the largest gains were in the fossil energy R&D program, which grew tenfold from 1974 to 1979. Throughout the 1970s, the government put in place various mandates, subsidies, and R&D funding to support energy efficiency as a way to reduce oil imports. Under Carter, the 1978 National Energy Conservation Act required electric and gas utilities to engage in energy audits and other activities to encourage conservation by consumers. Despite some important initiatives, such as fuel economy standards, public policy efforts to encourage energy efficiency investments in the 1970s were on the whole “miserly” and “disheartening,” according to Yergin in a 1979 energy project at Harvard Business School. A combination of weak policy and lower oil and gas prices in the 1980s would go on to stall energy efficiency efforts. Carter was determined to substitute imported oil with domestic coal, aiming to boost American domestic coal production by 80 percent by 1985. He called for conversion from scarcer fuels to coal “whenever possible.” In 1979, when oil prices spiked again with the crisis resulting from the fall of the Shah of Iran, Carter announced plans for an enormous program to develop synthetic fuels from coal and other sources, with $88 billion in funding for a government corporation. The 1979 Energy Security Act ended up creating the Synthetic Fuels Corporation, with $17 billion in start-up capital. (In 1985, with little progress to show and with oil prices having fallen back to low levels, the U.S. Congress ended the program). Environmental concerns with coal use, such as local air pollution, were well known at the time; the possible dangers associated with rising CO2 levels in the atmosphere were beginning to be documented. But climate change was not yet a key concern for federal policymakers, who were preoccupied with the imperative of reducing oil imports. Coal was routinely referred to as a “transition” or “bridge” fuel to a time when solar and conservation might displace it—an echo of today’s debate over whether natural gas serves as a “bridge” to a lower carbon economy. Oil price controls initiated by Nixon developed into a complex and cumbersome system of 17 different categories of oil, such as “old” oil, “new” oil, “new new” oil and “stripper” oil. Intended to counter rising inflation, price controls had the effect of discouraging domestic production while stimulating consumption. While the gasoline lines of the 1970s are often solely attributed to the Arab Oil Embargo, the effect of the supply cut-off was sharply exacerbated by the combination of price controls and the allocation system adopted in an effort to distribute supplies to those who needed them around the country. The unintended consequences of the federal government’s price and allocation system were evident not only in 1973, but again in 1979, when gasoline lines returned following the Iranian Revolution and the concomitant disruption of Iranian supplies. In January 1975, Ford laid out his energy plan in a speech to Congress, with a focus on decontrolling oil prices (as well as the price of new gas). Congressional Democrats, determined to keep prices low for consumers, opposed the measures. Price controls remained in place until Carter began phasing them out in 1979, with a complex three-tier system of price regulation. U.S. President Ronald Reagan completed their elimination in 1981. As for natural gas, the effort to keep prices low was taking a toll on domestic supply by the late 1960s. By the mid-1970s, the price of gas that stayed in a single state was two to four times higher than the price of gas that crossed state lines (price controls only applied to interstate sales). In his April 1973 energy message, Nixon urged the U.S. Congress to decontrol natural gas prices when existing contracts expired, though this did not happen. By the time Carter took office, the nation was facing severe natural gas shortages, worsened with the onset of a bitterly cold winter. In response, many called for price deregulation, claiming that the price controls on interstate gas were stymying new production and discouraging producers from putting gas supply into the interstate system. Less than two weeks after Carter’s inauguration, the U.S. Congress passed the 1977 Emergency Natural Gas Act, which gave the newly-elected Carter vast powers over the gas supply, such as ordering transfers from interstate or intrastate pipelines. Although Carter had campaigned on urging gas price deregulation, the draft bill he ended up sending to the U.S. Congress proposed a complex system of controls that would allow prices to rise gradually. Natural gas prices proved the most controversial part of Carter’s energy legislation. The 1978 Natural Gas Policy Act—a classic Washington compromise and one of six separate pieces of energy legislation that Carter signed on the same day—temporarily brought intrastate gas under an exceptionally complex price control regime, while permitting a gradual deregulation of gas prices over a decade. Throughout the 1960s and 1970s, more than 50 nuclear power plants were built in the United States, adding some 79 reactors to the American nuclear generating fleet. In 1972, the Atomic Energy Commission—the precursor to the Nuclear Regulatory Commission—forecast that by 2000 there would be a thousand nuclear plants in operation. The push for energy self-sufficiency, and the quest to eliminate the use of oil in the power sector following the Arab Oil Embargo, initially gave a boost to nuclear power. But the growth of nuclear was stymied by rising costs, strong environmental opposition, and the poor performance of early nuclear plants. In March 1979, the movie The China Syndrome, which starred Jane Fonda, Michael Douglas, and Jack Lemmon, opened to critical acclaim in the United States. The movie portrayed a nuclear accident at a power plant, along with a government and utility company conspiracy to cover it up. Two weeks after it opened, on March 28th, 1979, disaster struck at unit two of the Three Mile Island Nuclear Generating Station in Pennsylvania. Tens of thousands of residents fled, amid great confusion and swirling rumors about the effects of radiation. Time magazine’s April 9th cover, reading “Nuclear Nightmare,” was typical of the ensuing press coverage, moving the growing anti-nuclear movement even more into the mainstream. The U.S. federal government gradually pulled back support for nuclear power and imposed costly new regulations. As Graetz noted (2011), “the move to nuclear power in the United States entered a hibernation from which it has yet to emerge” in the face of this opposition. The share of American electricity generation from nuclear, which had been projected in the early 1970s to rise to 60 percent by 2020, has instead remained constant at around 20 percent since the late 1980s. Environmental protection had also become an increasingly important part of energy policy by the 1970s. Popular books, such as Rachel Carson’s Silent Spring (1962), boosted public support for environmental protection. On January 28th, 1969, an offshore Union Oil platform off the coast of Santa Barbara began to leak oil. The leak would not be plugged for 12 days, by which time nearby beaches had been fouled. Six months after the Santa Barbara spill, the Cuyahoga River burst into flames in Cleveland, Ohio. This was widely believed to have been caused by sparks from a passing train hitting an oil slick. In 1969, the National Environmental Policy Act was passed, establishing a requirement of environmental impact statements for federal actions. Less than a year after the Cuyahoga River fire, the first Earth Day was organized. In 1970, Nixon sent a plan to create the Environmental Protection Agency to the U.S. Congress. All told, nearly 20 important environmental statutes were created in the 1970s, most passed with large bipartisan majorities. Among these were the Clean Air Act (1970) and the Clean Water Act (1972). Ever since these foundational pieces of legislation were put in place, environmental concerns have played an increasingly important role in the making of U.S. energy policy. While price deregulation, nuclear power, and environmental protection were all key issues in the 1970s, as explained in the prior section, the predominant focus of policy was oil imports. Since the 1970s, the global energy market has changed in many consequential respects, but our energy policy discourse still often revolves around the goal of “energy independence.” These shifts in the energy sector mean that the problems we are trying to solve today are different, in many ways, than they were 40 years ago. Our conception of U.S. “energy policy” thus needs to evolve as well in response to these changes. The following sections lay out some of the most significant changes, and the next section discusses what they mean for the future of U.S. energy policy. Energy policy today is often conflated with climate policy. While energy policy has many other necessary dimensions, climate change is indeed among the most, if not the most, pressing challenges we face. Through his worldwide industrial civilization, Man is unwittingly conducting a vast geophysical experiment. Within a few generations he is burning the fossil fuels that slowly accumulated in the earth over the past 500 million years. They speculated that impacts could include the “melting of the Antarctic ice cap,” “rise of sea levels,” and more. Despite these warnings, climate change had not yet become a prevalent public policy concern when modern American energy policy was being formulated in the 1970s. Since then, though, climate change has emerged as the leading energy issue, both in the United States and around the world. At the 1992 Rio Earth Summit, the United Nations Framework Convention on Climate Change (UNFCCC) was negotiated to foster international cooperation in reducing greenhouse gas emissions. The parties to the convention have met annually since 1995 in high-profile negotiations from Kyoto to Copenhagen, and most recently in Paris in December 2015. Over this period, there has been a shift from the command-and-control regulatory approach to environmental protection toward more market-based tools. An early achievement in this direction on the part of the United States was the successful implementation of the SO2 cap-and-trade program (under Title IV of the 1990 Clean Air Act Amendments) during the presidency of George H. W. Bush, which has been widely regarded as a model for future emissions trading schemes around the world. More recently, the European Union has develeped an Emissions Trading System. 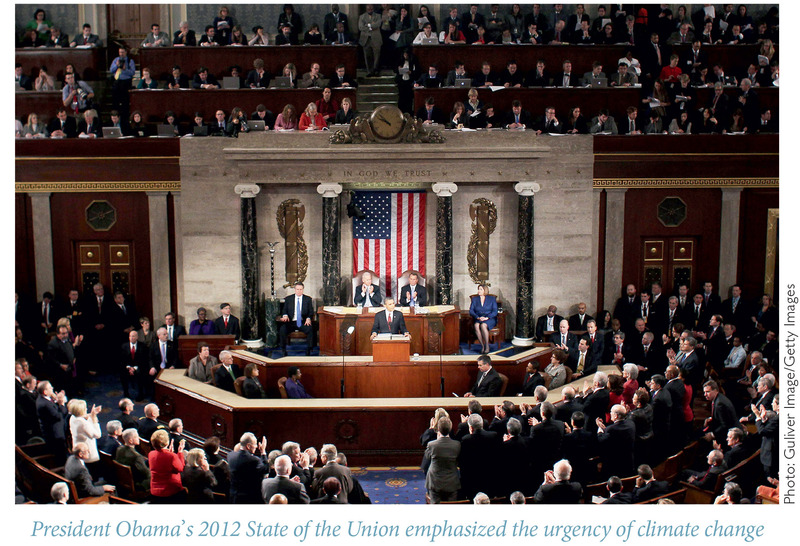 The centrality of climate to the energy policy agenda has been evident under the presidency of Barack Obama. With the failure of cap-and-trade legislation in the United States by 2010, the Obama Administration returned to a regulatory approach of reducing carbon emissions through the Clean Air Act. The administration has also placed great importance on achieving international climate agreements. Furthermore, the importance of climate has been evident in the Obama Administration’s rhetoric, which has gradually placed ever greater emphasis on the urgency of climate change action and less on the economic and security benefits of “safe and responsible” domestic production. In the 1970s, oil price controls existed in the United States, and most internationally traded oil was sold under long term contracts. A disruption in contracted shipments could result in a physical shortage for the buyer, because of the lack of strategic and commercial stockpiles, or a large spot market where buyers could easily access alternative sources of supply. In the intervening years, the oil market has become the world’s largest and most liquid commodity market, along with vibrant futures markets. The development of the NYMEX WTI futures contract in 1983 was an important milestone in this process, which marked the creation of new, transparent “paper markets” for crude oil trading. This ultimately shifted control over the global oil price from producer governments to markets. The similarly influential Brent futures contract was launched a few years later, in 1988. Today, the vast majority of globally traded oil is bought and sold at a price indexed to benchmark crude prices and mature pricing hubs. Given how the oil market has changed, the consequence of a supply disruption anywhere is a price increase everywhere—regardless of how much oil the United States imports. The price at the pump in America has risen and fallen to the same degree with the global price of crude oil when we were importing 60 percent of our consumption 10 years ago as when the United States only imported 24 percent last year. Increasingly, the global gas market is becoming more interdependent as well, as the price of natural gas is being set based on supply and demand for that commodity. Historically, natural gas prices have been linked to oil prices in many regions. A decade ago, nearly all LNG (liquefied natural gas) sold on the European and Asian markets was linked to the price of oil. Today, the share of oil-indexation in LNG imports has dropped to around 70 percent in Asia and 60 percent in Europe. This trend will be facilitated by increases in global gas trade, especially of American LNG, which can be flexibly delivered to any destination and is indexed to the spot Henry Hub Price. The trade in energy commodities has not only become more market-based, but also more global. In the 40 years between 1973 and 2013, global energy trade has risen 2.4 times. Natural gas trade grew at the fastest rate, increasing nearly 12-fold during this period. Coal trade increased six-fold, while global trade in oil and oil products expanded 1.7 times, according to IEA 2015 Key World Energy Statistics. Last year, almost 65 percent of the oil that consumers used around the world was traded internationally, up from an average of less than 45 percent during the 1980s. In 2014, crude oil, refined products, and gas and coal together accounted for almost half of tonnage in international seaborne trade. This trend toward increasingly interconnected energy markets is especially pronounced in natural gas, refined products, and natural gas liquids. Natural gas has traditionally been produced and marketed regionally, given the high costs of transportation. Yet new technologies—from the shale revolution to lower cost floating LNG regasification terminals—are leading to a sharp increase in global LNG trade, projected to rise by 45 percent through 2020. Similarly, crude oil had been traditionally produced or imported and then refined locally for consumption in regional markets. Increasingly, new downstream hubs are developing in places like India to refine crude oil into gasoline and other products, and then ship those products around the world. Natural gas liquids are also being traded more globally. The recent expansion of the Panama Canal has further expanded opportunities for global energy trade. Increased globalization also means that the most important energy consumers are not just the developed economies of the OECD, raising new questions about global energy governance and the need for a broader set of nations to cooperate on energy. The term “game changer” is often overused, but it is not hyperbole to say that the shale revolution in the United States has transformed America’s energy outlook. American oil production peaked in 1970 and was followed by a steady decline. Then, from 2010 to 2015, the United States experienced the largest five-year ramp-up in oil production of any country in history, rising to a peak of 9.7 million barrels per day (b/d) in April 2015. From 2005 to 2015, America’s natural gas production increased more than 50 percent. In 2005, it was projected that in 2015 the United States would be importing 25 percent of its daily gas use—a volume nearly twice what Qatar, the world’s largest LNG exporter, puts on the market today. Instead, the United States has just exported its first ever cargo of LNG from the lower-48—and it will be a net exporter by next year. Both of these production booms were made possible by technological advancements combining horizontal drilling and hydraulic fracturing—along with advancements in 3D seismic technology—that allowed oil and gas to be extracted economically from shale and other tight geologic formations. The shale boom has boosted GDP and reduced oil import dependence. It has strengthened America’s geopolitical leverage and the energy security and bargaining position of its allies, as we become one of the world’s largest exporters of liquefied natural gas. Since U.S. LNG exports from the lower-48 states began in early 2016, most cargoes have made their way to South America, with some also going to Europe, India, and China. The United States has even exported energy to the Persian Gulf, turning on its head longstanding perceptions of our geographic energy import dependence. Because these cargoes are destination-flexible and linked to low Henry Hub prices, U.S. LNG is creating competitive pressures that are driving down costs and creating more diversity of supply options. For example, for European countries long dependent on Russian gas, the very existence of U.S. LNG export capacity could effectively cap European spot gas prices at the variable cost of delivering U.S. LNG to Europe, even if little American gas ever physically reaches Europe. Environmentally, the surge in cheap gas has encouraged coal-to-gas switching. This has helped bring down America’s GHG emissions, whilst also raising many concerns about local environmental impacts on air and water, as well as the global climate impacts of methane leakage. While still highly uncertain, perhaps the greatest impact of the shale revolution will be outside the United States. Source rock can be found all over the planet, and rising prices may eventually lead to regulatory reforms and technology innovations that would encourage producers to adjust techniques first developed in the United States to extract unconventional hydrocarbons in other countries as well. Since the Arab Oil Embargo, OPEC has endeavored, with varying degrees of success, to manage the world oil market. In the mid-1980s, Saudi Arabia cut production sharply in an effort to support prices, before it gave up and let the price crash. In the late 1990s, OPEC again reached an agreement to curtail output, with contributions from non-OPEC countries like Mexico and Norway, to support prices after the Asian economic crisis sent crude prices tumbling. The quick V-shaped oil price recovery in 2009 was due, in part, to decisive OPEC action, with OPEC members agreeing to production cuts totaling 4.2 million barrels per day between September and December 2008—an unprecedented amount—and delivering about 2.4 million barrels per day in actual production reductions by the end of 2008. While there is disagreement about OPEC’s effectiveness in managing oil prices, its physical ability to do so has been gradually declining. “OPEC began to lose its grip on oil prices after 2003, as its spare capacity dwindled and prices embarked on a steady and strong upward climb,” explains Robert McNally in his 2015 policy paper “Commentary: Welcome Back to Boom-Bust Oil Prices.” As oil prices began to slide in 2014, OPEC was unable or unwilling to curtail production to support prices, refusing to do so for the next two years in the face of stubbornly low prices. On the contrary, the production of Saudi Arabia, Kuwait, Iran, Iraq, and the UAE is up 3.5 million b/d since that time. OPEC’s efforts to curtail production are further complicated by the short-cycle nature of America’s shale supply, which means the oil industry is now “two-speed,” allowing for American supply to respond more quickly to structural shifts in the market. In the face of severe domestic fiscal pressures resulting from low prices, a changed geopolitical landscape as Iranian production returned post-sanctions, and longer expectations of global over-supply, OPEC in September 2016 announced a deal to cut output. Yet details remain to be worked out on how the cuts will be implemented across countries, so it is too early to tell whether OPEC will be able to reassert its ability to manage the oil market. If a significant supply disruption were to occur, there is also less OPEC could do about it today. OPEC’s spare capacity—which can be quickly brought onto the market to compensate for production losses elsewhere—is at historic lows. In a world with very narrow spare capacity, any disruption to global supply can have an outsized impact on oil prices, because there is little buffer in the event of supply disruptions. Plump inventory levels can cushion this impact, but only for a short time. This shift has implications for the energy policy of the United States. For most of the last century, dominant producers have tried, with varying degrees of success, to curb boom and bust cycles by managing supply—from John D. Rockefeller and Standard Oil to the Texas Railroad Commission and OPEC. Today, the oil market functions more like a free market, as OPEC’s hold is loosened, and that is letting low prices bring the market back into balance. If OPEC members, notably Saudi Arabia, prove unwilling or unable to manage the market, the impact may be more short term price volatility, even with short-cycle shale, which can respond more quickly than conventional supply, but not nearly as quickly as traditional spare capacity. The technology that surrounds us has changed more dramatically in the past 40 years than any other aspect of the energy landscape, resulting in more interconnected energy systems. The information technology revolution of the past several decades has had dramatic effects on electricity usage—both expanding energy needs and also providing new tools to reduce energy consumption through smarter, connected applications like smart grids. The “internet of things,” big data, and machine learning will continue to revolutionize how we use electricity and manage energy use. One example is how appliances and buildings can now “talk” to the electricity grid, which can help manage loads and reduce costs and emissions. In many cases, these new technologies will enable new tools for sustainability, but may also reduce costs for everything from driving to manufacturing and consumption. New technologies are transforming electricity use, with solar and wind costs falling and distributed generation creating new challenges for managing load variability (as captured in California’s now-famous “duck curve”). Technology may also soon transform the transportation system as a whole. Advances in artificial intelligence have put self-driving cars and trucks within reach. These can significantly improve fuel efficiency, on the one hand, but also substantially increase demand for personal mobility on the other. The machine learning revolution enabled by big data and advances in computing can also lead to vast improvements in productivity and recovery rates at oil and gas fields, improve the accuracy of energy data, and boost the use of renewable energy in the power system. All these changes in the energy landscape have myriad implications for how energy policy needs to evolve in response to the changing nature of the problems that need to be solved. I come to the last section of this essay by making five observations that collectively reveal the increasing importance of interdependence in our energy policy. First, today’s increasingly globalized energy market, in which energy is freely sold and traded as a commodity, means the idea of energy independence must finally be put to rest. Energy independence is a chimera in today’s global oil market, where consumers see energy prices affected by global supply and demand shocks regardless of whether the United States imports some of its energy. The idea of “independence” doesn’t reflect the highly integrated global energy market in which we now live. Saudi Arabia, for example, from which the United States still imports 1.2 million barrels a day, could not cut off oil supply to America even if it wanted to. Unlike in the 1970s, where a disruption in contracted shipments could result in a physical shortage for the buyer, today’s oil market is the largest and most liquid commodity market on earth. That means that if Saudi Arabia stopped sending oil to the United States, companies would just resort to buying from other suppliers. More importantly for the future of energy policy is the fact that the isolationist impulse ingrained in Americans since the Arab Oil Embargo actually undermines the nation’s energy security. We are more secure, not less, when energy markets are interdependent and not disconnected. When Hurricanes Rita and Katrina disrupted much of the Gulf Coast’s vast production and refining capacity, fuel shortages were averted through the ability to import supplies quickly from the global market. When American refiners lost access to large volumes of imports from Venezuela in 2002 and 2003 during a worker strike, they replaced the disrupted supplies and avoided shortages with imports from other countries. During the Fukushima nuclear disaster, Japan was more energy secure because it could import other sources of fuel, like oil and gas, from the global market to meet electricity generation demand. In Europe today, security does not mean “getting off of Russian gas,” which would be costly and unrealistic, but rather making the European market more integrated, promoting competition and building pipeline reversal capability and interconnectors to allow gas to move more freely around the region. In all of these cases, energy security is improved not by “independence,” but by being integrated into a global energy market, allowing more optionality, interconnectedness, competition, supply diversity, and interdependence. The efficient functioning of integrated global commodity markets is the best guarantee against physical energy supply disruptions. large, flexible, and well-functioning energy markets contribute to security by absorbing shocks and allowing supply and demand to respond more quickly and with much greater ingenuity than is possible within a controlled system. Recently, for example, the United States lifted its outdated ban on oil exports, allowing the market to determine what sort of crude refineries would source from different locations and facilitating a more interconnected market. Washington has also recently signaled that it will approve LNG export licenses for commercially viable projects, allowing U.S. LNG to foster a more integrated and competitive global gas market. Policymakers should continue such efforts to remove barriers to efficient global markets—for example, by reforming the Jones Act to allow for the free movement of goods around U.S. waters while continuing to ensure the viability of an American shipping fleet for national security reasons. Washington should resist new calls to isolate the United States from the world energy market, such as recent calls from some independent producers to restrict oil imports. Our foreign policy should aim to ensure that global energy markets do not fall victim to protectionist impulses in the rest of the world, or to geopolitical rivalry along major energy trade routes. My second observation is that the overriding imperative to address climate change means that global cooperation on energy is more important than ever. The problem of climate change is inherently one of interdependence. After all, the climate change impact of a ton of CO2 emitted in Beijing is the same as one emitted in New York. Climate change is thus the ultimate tragedy-of-the-commons problem, and must be addressed through internationally coordinated actions. Moving forward, international climate dialogue and negotiation will be critically important, requiring more, not less, global diplomatic engagement. Federal fuel economy standards provide a striking example of how the increased urgency of climate action affects policy design. As discussed, policy is crafted differently depending on the problem one is trying to solve. Originally, the goal of fuel economy standards, administered by the Department of Transportation under authority from the U.S. Congress, was to reduce oil consumption for energy security reasons. The Clean Air Act was not relevant until rising concerns about climate change led to a U.S. Supreme Court ruling, and a subsequent “endangerment finding” gave the U.S. Environmental Protection Agency (EPA) responsibility for regulating GHG emissions from the tailpipe. For diesel or gasoline powered vehicles, there is a one-to-one relationship between the related goals of reducing GHG emissions and fuel consumption. But what about alternative fuel vehicles? According to a 2015 study by the U.S. Department of Energy, a natural gas vehicle emits 10 to 30 percent less greenhouse gases than a gasoline or diesel-vehicle. But unlike oil, much of which is imported, natural gas is an abundant domestic fuel that the United States will soon export on a net basis. Natural gas vehicles therefore have a very large benefit to displace imported oil, but only a modest carbon benefit. So, how much credit should natural gas vehicles receive in meeting fuel economy standards? The answer depends on what problem one is trying to solve and the differing legal authorities of the EPA and the U.S. National Highway Traffic Safety Administration, aimed at pollution and oil security, respectively. The approach taken by the Obama Administration for heavy duty vehicles credits natural gas trucks based on the GHG emission benefit they provide relative to diesel trucks (giving no “extra credit” for the fact that they do not contribute to oil consumption), revealing the priority placed on addressing climate change over oil security. The urgency of the climate challenge also means that climate policy itself should not be made in isolation. Potential climate impacts should be evaluated and considered in all federal policy actions, as made clear by the recently released guidance from the White House Council on Environmental Quality to federal agencies. This does not mean the rejection of any policy that results in greater hydrocarbon production or greenhouse gas emissions. The nuclear deal with Iran, as one perhaps extreme example, has led to around one million barrels per day of additional oil coming into the world market, pushing down prices and thus boosting both oil demand and carbon emissions. Yet preventing Iran from acquiring a nuclear weapon, if the deal succeeds, is a benefit well worth this cost. Similarly, the economic and geopolitical benefits of allowing free trade in energy outweigh any modest climate downside. In all cases, however, climate considerations should be front and center in future policy choices. In all of those policy choices, a complex assessment of costs and benefits is required, and tradeoffs between economic, geopolitical, and environmental objectives must be considered. In order to do that for climate change impacts, the U.S. federal government recently developed an official estimate of the “social cost of carbon,” which attempts to quantify the total damage over time caused by an additional ton of CO2 emissions today. Future administrations should continue to ensure that the costs of the externalities of greenhouse gas emissions are factored into policy decisions. An economy-wide climate policy that puts a price on carbon, along with other targeted policies like support for potential breakthrough technologies through federal R&D, would be the most cost-effective way to achieve the goal of reducing carbon emissions. Policymakers need to weigh the high degrees of uncertainty, and the potential benefits of “buying insurance” against them, when considering the costs and benefits of proposed climate policy actions. As a third observation, I underline that there is greater interdependence between producers and consumers, not only at home, but also abroad. In the United States, while lower energy prices are better for the economy, the shale revolution has clouded the picture, as the recent oil price collapse demonstrates. The net benefit to America of an oil price drop today is smaller because the United States is now a much larger producer than it was a few years ago. The White House Council of Economic Advisers (CEA) estimates that the recent oil price collapse boosted U.S. GDP by 0.2 percentage points in 2015. That is far lower than the one percentage point boost implied by the econometric model used in earlier CEA analyses. As CEA explained, because the United States is a much smaller net oil importer than it was before, when the price falls, more of the consumer benefit comes at the expense of domestic producer revenue, thus providing less of a macroeconomic boost. In today’s more interdependent energy world, the larger role of oil and gas production in the economy also means that the United States will be more exposed to cycles of boom and bust. That may be increasingly frequent moving forward—if the short-cycle nature of American shale production, combined with the inability or unwillingness of OPEC to manage the market, means that the oil market will face greater oil price volatility ahead. Energy policymakers may need to consider new tools to protect communities that will be even more vulnerable to steep drops in employment, housing, and school funding. My fourth observation is that, far from being isolated or less engaged as American imports decline, today’s changed energy landscape means that the role of energy is even more, not less, important in American foreign policy and diplomacy. As the Brookings Institution’s Bruce Jones and David Steven argue, the shale revolution means that the United States is an increasing supplier to the world and has greater leverage to use energy for either coercion or strategic assistance and reassurance. In many ways, being a much larger producer and exporter of energy changes the dialogue the United States has with other countries. “The mostly confrontational or, at best, sterile relations of the past can now become more cooperative and interdependent,” write David Goldwyn and Jan Kalicki (2013). Producer countries like Saudi Arabia struggle with their own rapidly rising consumption rates, even as consumer countries like the United States, and potentially others like China, diversify energy sources and boost production from unconventional resources. As a result, global energy dialogue can occur on a more equal footing and move beyond Western nations “pressuring” and “imploring” (to refer to the two terms used by Goldwyn and Kalicki) producer nations like Saudi Arabia to moderate prices. The United States can now engage in a producer-consumer forum like the International Energy Forum from a greater position of strength and more easily support the expansion of the International Energy Agency to include emerging nations. Energy supply and diversification was central, for example, to American efforts to impose sanctions against Iran through extensive diplomatic efforts to persuade buyers of Iranian crude to switch to other import sources. Countless Eastern European and Asian leaders trekked to Washington a few years ago—at a time when Asian natural gas prices were approaching $20 per MMBTU and Russia was threatening to turn off the taps—to ask the United States to export low-cost American gas to the world. In addition to U.S. exports, American diplomacy has since helped create a more integrated and resilient European energy system. Even though the United States is a much smaller importer, today’s interconnected world means the impact of energy market changes can still reverberate far and wide. From the South China Sea and Eastern Mediterranean to the Arctic and the Russia-Ukraine theatre of conflict, energy is increasingly central to many of today’s most difficult geopolitical problems. Consequences to the oil price fall are playing out around the world. Venezuela is teetering on the brink of economic collapse. In Nigeria, the cash-strapped Buhari government has cut back payments to militants, worsening the security situation in the Niger Delta, whilst struggling to pay the military, thus undermining the effort to battle Boko Haram in the north. Libya, Iraq, Algeria, and others are facing similarly increased instability and risks. An eventual shift away from oil to address climate change will only exacerbate such geopolitical risks. Those risks would be especially pronounced in a region like the Middle East, which is already struggling with security issues like the Syrian civil war, the battle against the Islamic State, the political turmoil in Yemen, and the fracturing of Iraq. Expanding energy access is also a key tool to promote stability and reduce conflict, as well as spur economic growth. My fifth and final observation is that today’s more interconnected energy landscape means that energy policy today needs to confront new risks to the security of energy supply. Strategic stocks of oil are no longer sufficient—and may be less effective. For example, increased energy trade may increase reliance on just-in-time delivery of refined product from overseas hubs, potentially raising the costs of any disruption. Such concerns motivated efforts by the Obama Administration in 2012 to avert the closure of refinery capacity on the East Coast and eventually construct a new refined product reserve in the Northeast. An increasingly interconnected global gas market may also create new risks to prices and supply. Electrification, too, may be a necessary step in the clean energy transition that raises new security risks. Eventually, a lower carbon energy system may see the widespread adoption of electrification in transport or home heating, which may significantly exacerbate the costs of any outages to our electricity system. At the same time, distributed energy makes it increasingly challenging for utilities to manage grid reliability. Technological change and increasingly interconnected energy systems create new cyber security risks that present new challenges to the security of energy supply. The 2012 cyber attack on Saudi Aramco was a stark reminder of what these new vulnerabilities might look like. In Lights Out: A Cyberattack, A Nation Unprepared, Surviving the Aftermath (2015), Ted Koppel argues that as the energy system becomes increasingly connected via the “internet of things”—from large utilities to appliances and cars, and much in between—it may become increasingly vulnerable to cyber attacks that could have crippling effects larger than physical oil embargoes of eras past. Addressing these challenges will be an increasingly important task for policymakers. And they can only be addressed if they are coordinated with other countries, not in isolation. Since its emergence in the wake of the 1970s energy crisis, an overriding preoccupation with import reliance and the chimera of “energy independence” have shaped modern energy policy in the United States. Yet the energy landscape has shifted profoundly since then. Climate change has emerged as an existential global threat; deep and liquid commodity markets have developed; energy trade has become more global and integrated; the shale revolution has transformed America’s supply outlook; the influence of OPEC on world oil markets has waned; and new technologies are fundamentally altering the way we use and manage energy, creating new opportunities and risks. In response to these shifts, the goals of American energy policy also need to evolve. Energy security comes from being interconnected, not disconnected. The nature of the climate threat means isolation is not an option, and urgency requires that climate considerations be integrated throughout policy. The shale revolution and changing role of OPEC mean increasingly frequent cycles of boom and bust that create more interdependence between producers and consumers. America’s stronger energy position and climate leadership means energy plays an increasingly important role in America’s foreign policy in a more integrated world. As new technologies increasingly connect the energy system, the many benefits also bring new physical and cyber risks to energy supply and infrastructure that require addressing with new energy policy tools. It would take a full book to examine the many other similar examples—global nuclear power and the changing utility sector are just two examples not examined here. The purpose of modern American energy policy bears less resemblance today to its origins in the wake of the Arab Oil Embargo. It is striking how much the world has changed since then. Today, American energy policy must face a new set of challenges and opportunities in an increasingly globalized, market-driven, U.S.-supplied, digital, and lower carbon world. Meeting the challenges and realizing the opportunities requires not isolation or independence, but more interdependence, interconnectedness, optionality, and competition.